Pinterest is an educator's dream come true because of its many options for curating and sharing ideas, displaying student work, and building a PLN. Are you Pinteresting? Well, lots of educators are. The PEW Research Center has found that 28 percent of online users are using Pinterest (compared to only 23 percent using Twitter). 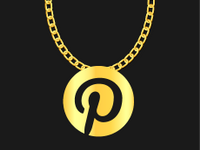 Women dominate Pinterest with 42 percent of women online using the site. With over 80 percent of teachers being women (PDF, 1.5MB), it makes sense that teachers are all over Pinterest sharing ideas for lesson plans, centers, and resources. Pinterest is different from other sites. When you pin something, people will be looking at and repinning it years later. Pinterest may be the secret powerhouse of educational sharing. Here are 20 power tips that you can use in many areas of schools and your classroom. Pinterest has a useful feature that lets you just follow just one board. Here's an example. If I look at super-teacher Laura Candler's Pinterest, I can click at the top right and follow everything she pins, or I can click "Follow" under her boards that interest me the most. So a math teacher can just follow Laura's math boards, and a curriculum director can just follow her Common Core board. One of the fastest ways to build your PLN on a site is to find the friends you already email or follow. If you log into Pinterest's homepage, you'll see the "find your friends" button (or you can go here). Just click their names to follow them. Make boards as you find a reason to use them. That way you won't end up with empty boards. As you can see below, if you don't have a board, you can create it right there. Curate with others when you go to a conference or when you're brainstorming about a topic. Just add them to the board by clicking the "invite others" button. Below, you can see how the OETC15 conference has presenters and participants pinning resources to a group board. When planning for prom several years ago, my students and I had a private Pinterest board where we shared ideas. I've seen administrators invite staff members to share ideas for building plans, makerspace ideas, or school improvements. The only people who can see these boards are those who you add. You can find a spot for up to three private boards if you scroll down below your other boards. I'm using this to pin ideas for my graphic designer as we develop my third book cover. Now that you know about these exciting features, you may want to reorganize your pins. If you've tried this before and found that you had to do it one pin at a time, you're in luck! A new Pinterest feature lets you copy and move (or delete) pins in bulk. I do this when I have a new board and want to quickly add items that I've already pinned. If you decide that you want to remove a board, reconsider. People are following that board and may wish to use those resources. Rename your board instead. The followers will still follow it, but it will be titled in a more useful way. The Pinterest search is fast, easy to use, and produces excellent results. I think this is why so many teachers love it. If you have just a minute to find a craft or idea, go here. The search box is on the top of every Pinterest page. You can add the Pinterest button to your favorite web browser. This way, almost every picture and video on the web becomes pinnable. There are many options for adding Pinterest boards to a site using Pinterest widgets. Widgets are a great way to display photos if you're taking students on a trip. Coaches can add the pins to their websites so that teachers can quickly see resources, even if they haven't joined Pinterest. Organize and curate videos that you may want to use in your curriculum. With many teachers using the flipped classroom model, Pinterest is a perfect way of collecting videos to gather ideas or to use with students. Pinterest has an option to tweet out or share your pins on Facebook or Twitter. It's fine to do this when you have an excellent resource, but I don't recommend doing it all the time. I like it when other teachers do this sometimes so that I can follow them on Pinterest. You can add a comment under a pin. Just remember that it's copied over from the previous commenter. For this reason, you'll want to read the comment and make it your own. If you have a private board, this is also a wonderful way to converse about the things on the board. Track your website's content on Pinterest at www.pinterest.com/source/yourwebsite by editing the part at the end which reads "yourwebsite" and substituting it with your URL. For example, www.pinterest.com/source/coolcatteacher.com/ shows you what's hot from my site. This tip is useful for quickly finding great images from your favorite sites. To prevent a common beginner's mistake, make sure that you're pinning from the individual blog post, not the site's homepage. Homepages frequently change, and you might click a pin and not get to the original article. The easiest way to link to the original blog post is to click on that post's title and make sure that just the post shows on the page. Then pin your button. Every blog post, article, or event should have pinnable images. These pictures should include a graphic, event name, blog post title, or your organization. Some bloggers and schools are putting a watermark on their graphics and photos -- a pale marking with the name of the organization on it. Pinnable pictures are promotion. I even pin my shows from Every Classroom Matters onto a Pinterest Board. The repins of a podcast shows the power of Pinterest. People collect everything -- images, video, and even audio. Sometimes you're just rushing through Pinterest and don't have time to decide whether something is worth pinning. You can like the Pin and then go back through your likes to determine if you want to pin them later. Curate a Pinterest board with student-friendly ideas. When students finish work early, let them explore the board of items that you've curated for their curiosity. Use Pingroupie to find large groups of people curating boards together. An excellent way to find good boards is by searching (see #8 above) and watching for repeating pinners. You can also go to excellent pinners like Edutopia or Laura Candler and click on "following" to see who they're following -- or just type /following/ after any user's name. The list goes on. 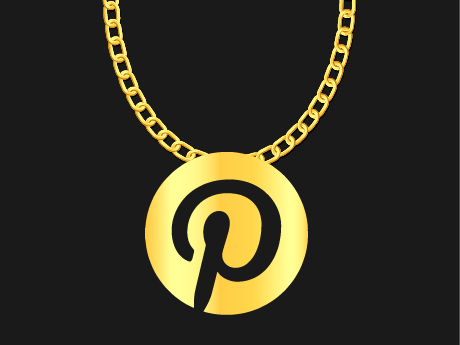 There are so many great things you can do with Pinterest -- so get out there and be Pinteresting!